Kellogg Community College will again offer a free after-school robotics club for middle school students during the spring semester. 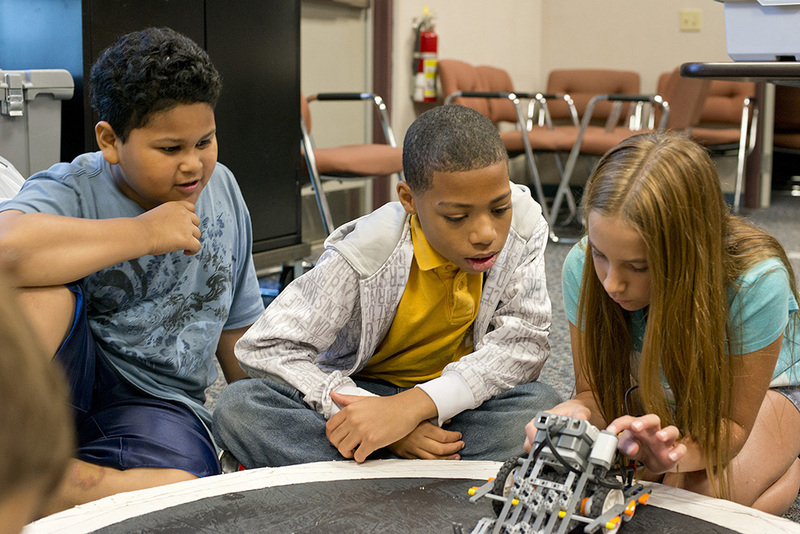 The free after-school club, which is affiliated with the College’s Bruin Bots robotics program for youth and is open to students in sixth through ninth grades, will meet from 4 to 5:30 p.m. Tuesdays from Jan. 27 to May 12 at KCC’s Regional Manufacturing Technology Center, 405 Hill Brady Road, Battle Creek. While the program is free, space is limited and will be granted on a first come, first served basis, so early registration is encouraged. To register, a parent or legal guardian of interested participants must complete and return a registration form, which can be picked up at the RMTC or viewed and downloaded from KCC’s website at www.kellogg.edu/bruin-bots. This is the third consecutive year that KCC has offered the free after-school Bruin Bots program. The goal of all Bruin Bots programming at KCC – which also includes a fall-semester robotics competition team and youth robotics camps each summer – is to engage youth in exciting, hands-on learning experiences in the fields of science, technology, engineering and math (STEM) while also introducing them to career possibilities in STEM fields. For more information, contact the RMTC at 269-965-4137 or email bruinbots@kellogg.edu.